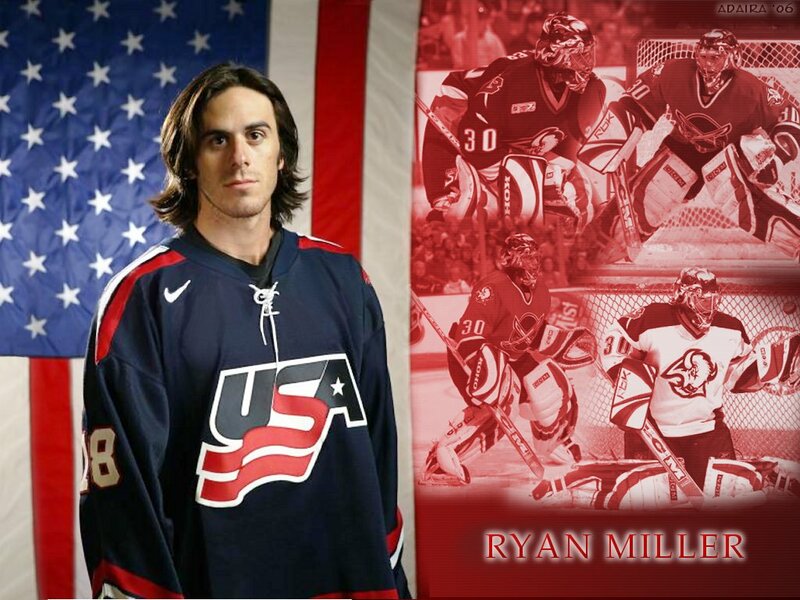 Our first bullet begrudgingly goes to the mighty-haired one, Ryan Miller. Miller was impenetrable as he stopped 16 shots in the first period, 17 in the second, and 37 for the day. Time after time he stood tall in the net. Perhaps his biggest save of the matchup was his robbery of Nicklas Backstrom in the first period. How he stabbed Backstrom’s point-blank shot we don’t know. But it figures he would get special powers on Hockey Day in America. As we mentioned earlier, the Caps managed to score a power play goal today — even more on that later — but they did themselves no favors early on, squandering four power play opportunities in the first period, included 1:34 of five-on-three time. The Capitals may have ratcheted up their shot total during the two-man advantage, but the quality of the shots were poor. Washington passively stood around the perimeter and created little havoc in the crease. Here’s an idea: we would love to see this team utilize the slap pass more. Opponents have heavily scouted the Caps power play and seem to know where the shots are going to come from. This would help open things up and keep PK’ers off balance. And let’s make this simple: if you can’t score on a two man advantage you generally will lose the game. The Capitals were lucky to overcome that. Once again, it was a less heralded Caps player that made the biggest difference. One night after having his jersey retired by Blaine High School, Matt Hendricks got a gift from the Hockey Gods in the first period as his dump-in ricocheted off the boards right to Perreault for the game’s first goal. Hendricks also drew an interference call on Morrisonn by working hard and keeping his feet moving in the offensive-zone. That penalty led to Washington’s game-winning goal. The Capitals’ fourth line of Boyd Gordon, David Steckel and Matt Bradley brought the energy today and managed to create four scoring chances at even strength, including an ill-fated breakaway for Gordon. In comparison, the Caps first line of Ovechkin, Backstrom and Mike Knuble only managed three. Scott Hannan was on the ice for seven scoring chances and three against — one of which was the screen on Varlamov that led to Buffalo’s only goal of the game. Hannan has been steady in Mike Green’s absence but, dude, please try not to skate in Varly’s sightline when he’s trying to make a big glove save. Then we have to hear other Caps bloggers diss our favorite goalie. And that makes us sad. Speaking of Semyon Varlamov, he was потрясающий [English translation: tremendous]. Varly had 28 saves, many of the spectacular variety, and managed not to lose his under-garments when Thomas Vanek came in on a breakaway. As Sergey Kocharov said afterwards, “Varly made a difficult game look easy.” We couldn’t agree more. At Neil’s final count, the Caps out-chanced Buffalo 22-13 and 13-11 at even strength. Overall, Washington accumulated seven power play chances. Finally, the Capitals game-winning goal (above) came from several excellent individual plays strung together. Ovechkin came into the Buffalo zone with a huge burst of speed, cut to the middle of the ice and slung a wrist shot towards Miller. Miller’s pads didn’t corral the rebound as the puck squirted to Perreault in the far corner. With the net yawning, Perreault made the decision to shoot. Miller would have recovered in time but Johansson was there to redirect six ounces of rubber into the net. Hard work, skating, shots from bad angles and rebounds. That’s how you score on the power play. You don’t just stand around waiting for something to happen. This was a big win for Washington. Coming off their poor performances against Western Conference, this road-trip could have easily become a disaster. Now, the Caps will salvage at least four points. They can go above .500 for the journey when they face the depleted Pittsburgh Penguins Monday. The curse is broken. The Capitals have won when I’m on recap duty. Feel free to rip up your hate letters. Caps versus Pens tomorrow. Catch you here afterwards.